Cultists Cheer As Trump Celebrates Assault Of Reporter - Joe.My.God. Donald Trump kicked off a western tour in Montana on Thursday ostensibly to support Matt Rosendale as he attempts to unseat Sen. Jon Tester, but it was his praise for Congressman Greg Gianforte’s physical assault on a reporter that stole the show. Big cheers in crowd as Trump mentions a reporter getting assaulted. Wow. 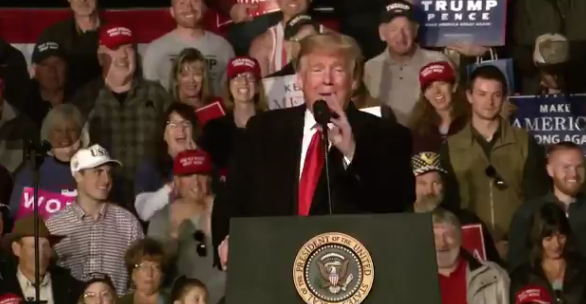 Trump says “there’s nothing to be embarrassed about” when joking about Montana Rep. Gianforte’s assault of a reporter, as he mimes body slamming a person.